Pass your Ontario Driving Test by knowing where they take you. Be guided through the route via GPS in your city. Being prepared causes less stress and you will feel more confident. 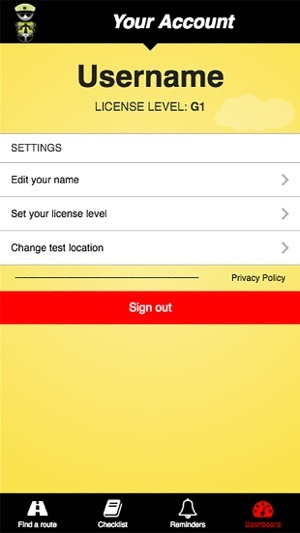 Personalize your experience by setting your location for the test, your level of license, and setting reminders for an up coming driving test. 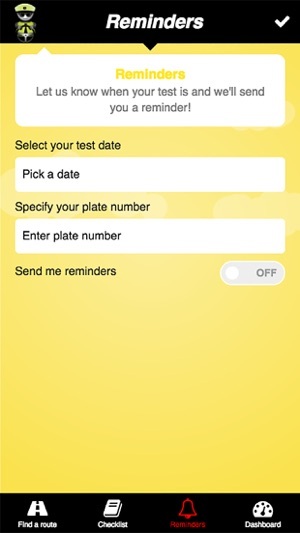 Set a reminder that will alert you of your test date/time and records your license plate number (useful when you check in at the Drive Test Centre). 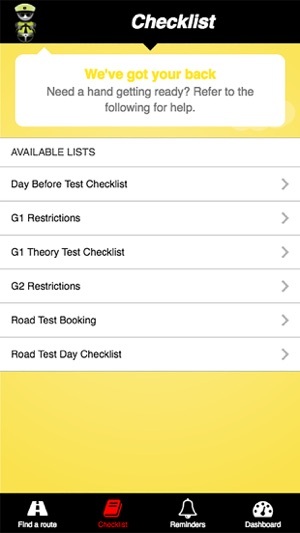 Additional features like the checklist of what to do the day before your test and the short time leading up to that drive. Checklists include; G1 restrictions, G2 restrictions, How to book a driving test, What to do to write your G1 test, Day-Before test checklist, Day-Of test checklist. Everyone has the opportunity to share their routes in their cities. 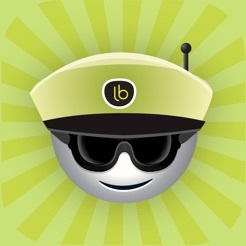 Go to http://licensebotapp.com for instructions.